Around the school grounds and in the classroom. Christmas decorations from natural materials and making bird feeders. This day can be split between two or three classes over the full day. 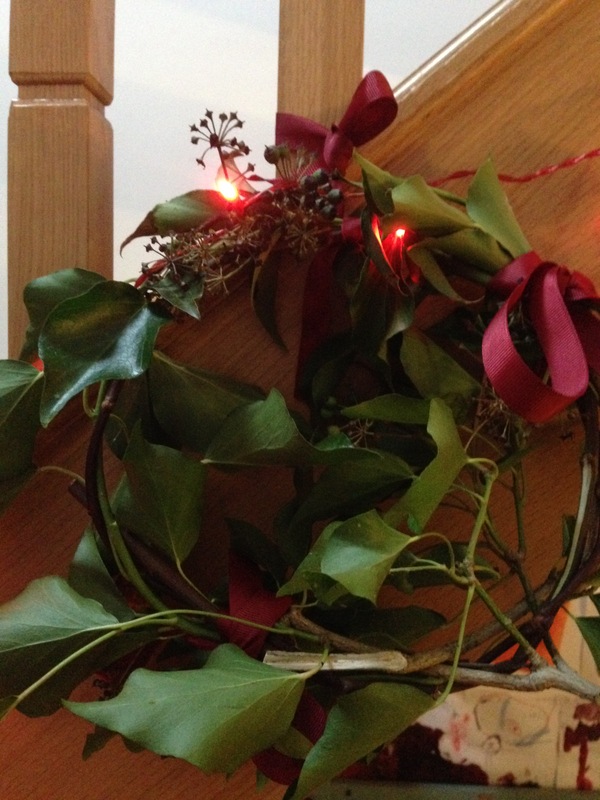 The children will make Christmas wreaths from willow, ivy, berries and red ribbon that is brought in plus any natural materials that they can find around the school grounds (weather permitting). If time allows they will make Christmas tree decorations from cones, berries, willow and thread. Then they will make bird feeders from sticks, thread, lard, porridge and other seeds. These bird feeders can be hung around the school grounds or taken home. A discussion on what nature is doing at winter – hibernation, survival and migration will take place through the session. Preparatory discussions on the seasons and what the animals are doing in winter can be helpful. Pupils can bring in seeds and porridge to add to the bird feeders if desired. They may also like to bring in any other materials for the wreaths or tree decorations. Please ensure that pupils have boots/wellies, warm clothes and rain gear.